Taking care of someone is a challenging task that you must be prepared for. You need to ask yourself whether you are up for the challenge of meeting your elderly loved one’s needs so that you’ll know where you stand to address such needs. Are you capable of dedicating a portion of your time to assist your elderly loved ones in their activities of daily living? Are you ready to immediately meet all their demands as they age? Can you attend to them when they feel insecure, sick, or just plain bored? Taking care of your elderly loved ones is never an easy job; you should be compassionate, understanding, and caring all the time. 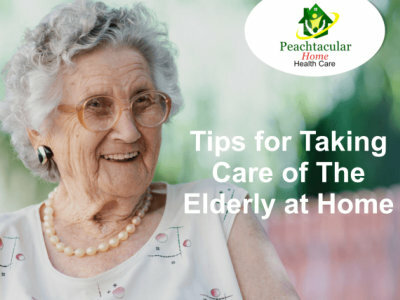 These are the qualities expected from you so that you can provide an environment for your loved ones to age healthily, yet you can also rely on Peachtacular Home Health Care Metro Vancouver to help you out with such needs. As part of the process, you need to learn about caregiving basics so that you are always ready for the challenges that are coming ahead. Always ensure that you have a safe and secure home for your senior parents or loved ones. Keep their environments in check and be on the lookout for any hazards at home. These hazards could range from wet floors, a slippery mat, clutter around the house, or even ill-fitting shoes can actually put your loved ones’ safety at risk. These simple things should always be kept in check so that you will pre-emptively avoid any possible safety issues that could arise. Provide additional security that your elderly loved ones can depend on at home such as smoke and carbon dioxide detectors. Regularly check these detectors to see if they are fully functioning. As well, it is best that you have grab bars in places where your loved ones are challenged in their mobility, such as in the bathroom, or on the stairs. This will give them added support to stabilize their movements around the house. Furthermore, you can have non-skid rugs in order that your elderly loved ones will not be at risk for slipping and falls. Make sure that you have bright lights at home, as the elderly have degenerating or poor eyesight. It would also be beneficial to have strategic nightlights placed where they usually frequent during the night such as the bedroom, the living room, and especially the bathroom. This will ensure that they can get around the house without any trouble because everything is well illuminated for them. Always ensure that your loved ones have easy access to communication lines so that whenever they have any problems they can just easily contact you or any caregivers for their One on One Personal Care, such that their issues can immediately be resolved. You must put emergency numbers on speed dial so that with a press of just one button your loved ones can call for help from the right people.